Need help? Contact us by phone, web or visit us! Contact information. Location information. Questions and comments. You must enter valid information below. You must enter valid information below. Fill in your questions or comments below. By completing this form, you agree that the information you provided above is accurate and valid. 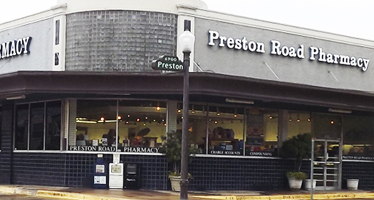 You also agree that Preston Road Pharmacy may contact you at the information above.